Big data was seen as one of the biggest buzzwords of 2013 and companies are spending a lot on Big data analytics. The storage and analysis of large and/or complex data sets using a series of techniques including, but not limited to: NoSQL, MapReduce and machine learning. Companies are implementing big data initiatives to improve operational decision making across the enterprise. In 2014, data analysts will be empowered through easy-to-use tool that leverage the insights of data scientists, by providing real-time forecasts and recommendations in their day-to-day business tools. Better analytics will make data analysis more effective, while automation frees up data scientists to focus on strategic initiatives and unlocking further value in corporate data stores. 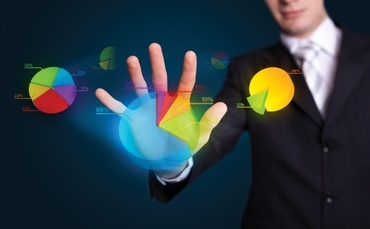 Here are 10 Big Data Predictions for 2014. Despite claims from analysts that all businesses will look to hire data scientists, this just isn’t going to happen. Firstly, there’s a shortfall of data scientists, which goes some way in explaining why companies are retraining existing staff to work with big data) and secondly, not all companies are ready to (nor do they need to) invest in full-time data scientists to analyse and explain their data. Instead, just as in other areas, I expect a wave of companies hustling to enter the big data-as-a-service space, an idea that began to creep into the latter parts of 2013. This could be anything from small and medium businesses signing up to anything from entire packages of storing, analysing, explaining and visualising data to more compact services, which focus on transferring data to cloud-based servers to allow for an accessible way of questioning the data in the future. Hadoop, famously named after a toy elephant, is a well-known piece of software to anyone curious about data science and it provides the backbone for many big data systems, allowing businesses to store and analyse masses of data. Most importantly, it’s open source, which means that its implementation was inexpensive, allowing many organisations to understand, rather than ignore, the data they were collecting. Analytics based on the R programming language, geared specifically for data scientists performing statistical analysis, will go mainstream in 2014, according to Alteryx, edging out legacy environments like SAS and SPSS. “With over 2 million users and another 3 million analysts looking for better solutions, R’s time is now,” Alteryx says. 6. 2014 will be the year of SQL on Hadoop. “I think you’ll see people start building interactive applications on the Hadoop infrastructure. And what I mean by that — and I think this is probably the most controversial thing — is that people will start replacing their first-generation relational databases with SQL on Hadoop,” said Monte Zweben, CEO of SQL-on-Hadoop database startup Splice Machine, in a phone interview with InformationWeek. 7. Big data flies to the cloud. “Big data has gained a lot of traction in 2013 but complex technologies are keeping many businesses from getting their solutions into production and generating a positive ROI. In 2014, businesses will look beyond the hype and turn to cloud solutions that generate fast time to value and do not require highly specialized dedicated skill sets, like Hadoop, to manage. In 2014, he says, you’ll see Hadoop evolve techniques for deeper security, deeper operational management, deeper resource management and multi-site replication. “You’ll see all the kinds of things that enterprises require,” he says. “They’ll become more standardized in these platforms. I think that’s going to be a major focus. 9. Big Data analysis process will become more automated. The majority of organizations (84 percent) have a manual process to analyze Big Data, according to Adaptive Computing’s survey. A manual approach is time-consuming and typically results in underutilized, siloed computing environments, which explains why 90 percent of survey respondents would achieve greater satisfaction from a better analysis process or workflow. To process simulations and data analysis more effectively, Adaptive Computing predicts that more organizations will automate the workflow, minimizing costly and error-prone manual work. 10. Big Data analytics will increase revenue streams. Research published by Gartner in January 2014 titled “User Survey Analysis: Driving Efficiency and Reducing Cost Is King When It Comes to Decision Making for New Technology Solutions” found that “mobility, Big Data and analytics were rated as being of greater importance to an organization’s strategy than social.” “This aligns well with the data received from a recent vendor survey conducted by Gartner in which 2,015 providers expect analytics to account for three times the revenue stream of social.” Adaptive Computing predicts that Big Data analytics will drive greater revenue by increasing efficiency, reducing internal costs and enabling new business models.